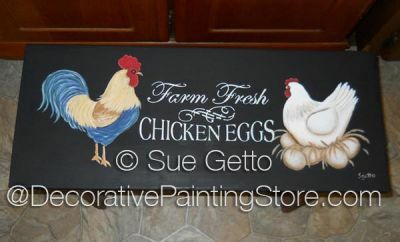 Country sign with rooster and hen and stenciled lettering. 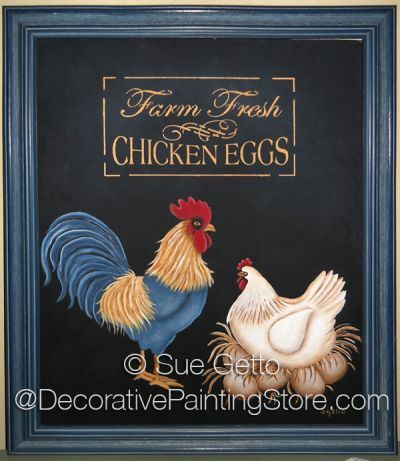 Shown painted on 16"x20" canvas, but you can use any surface of your choice. Sue shows the pattern painted on the top of a wooden bench also.